Who else has caught on to the stress relieving coloring fad? I’ll admit to having decided to try my hand. It’s been a nice way just to let my brain shut down at the end of the day before I go off to bed. 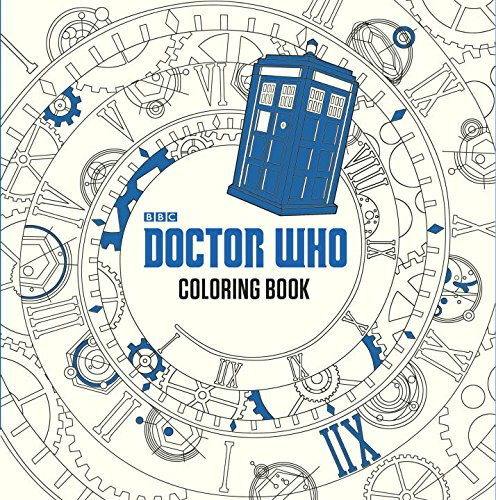 Well, as a geek, I wanted to check and see if I could find adult coloring books out there that followed my fandoms. There are! There are! After searching around, I found some to be too basic for my liking, and others that seems to be a bit of a rip off since I wasn’t getting much for my money. 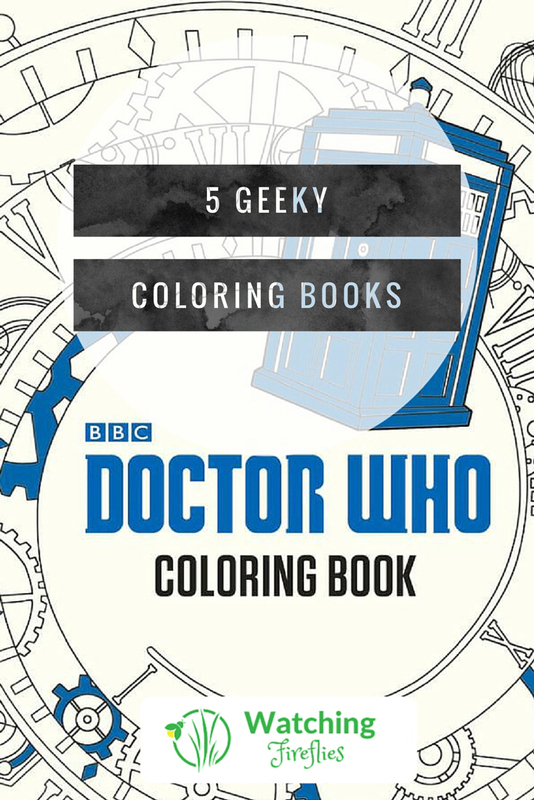 In the end, I compiled a list of my five favorite geeky coloring books to share with you. Doctor Who is one of my favorite fandoms, so finding an intricate coloring book with nods at all my favorite little details of the show was something I couldn’t pass up! I found this copy through Yellowstone Treasure on Etsy. Lacey does a great job of mixing a lot of my different fandoms into her coloring book. Dr. Who, Star Wars, Harry Potter, Star Trek, The Neverending Story, Firefly…. The list goes on. The pictures are whimsical and relatable, while still having a definite cute feeling to them. 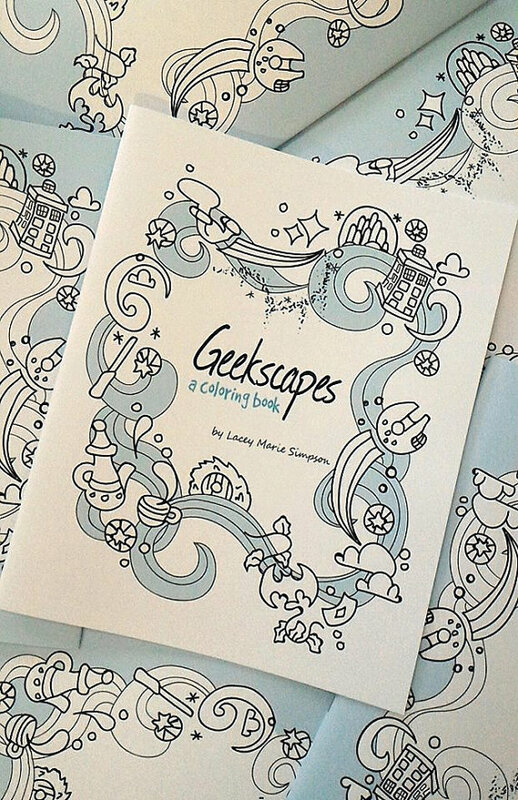 You can check Lacey’s coloring book and other prints out at her Etsy store, Laceyisadork. 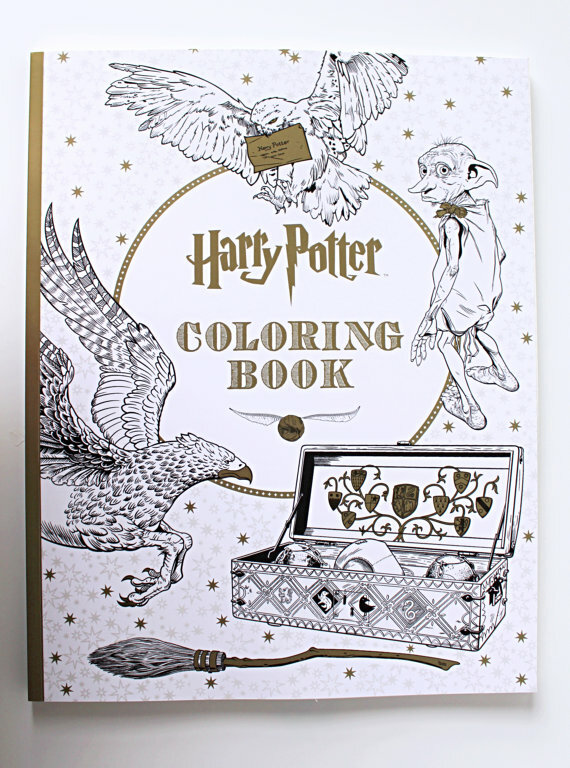 Get your gel pens ready to use like wands for the Harry Potter Coloring Book! I like the mix of intricate design and spot on still movie scenes in this coloring book. I may or may not have decided to start binge watching the movies again after flipping through the book. For inspiration, I tell you! You can get yours from WritersCandy on Etsy. 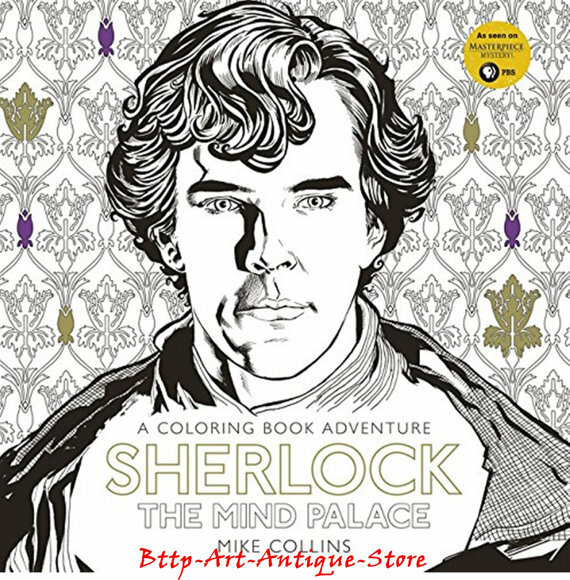 This Sherlock coloring book is interesting in its’ intricate details. The pages remind me of paint by color the way they are drawn out. It is interesting that there are clues from each episode hidden within the pictures that we can see once the scenes are complete. You can find your copy through thaiworldtrade on Etsy. 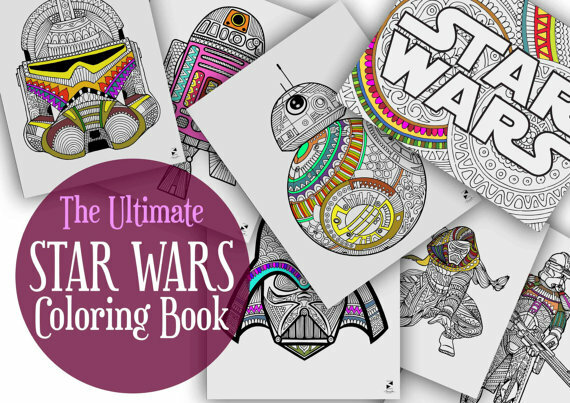 Fan art can be so creative, and this Ultimate STAR WARS Coloring Book just proves that point. While it gives us the intricate detail many of us love in a coloring book, it puts the focus on the character you are coloring, and sticks with their original designs. We can thank INK88 on Etsy for bringing us this creative spin on our beloved STAR WARS characters. Feel free to send a shout out in the comments with other geeky coloring books you think I should have added to the list!